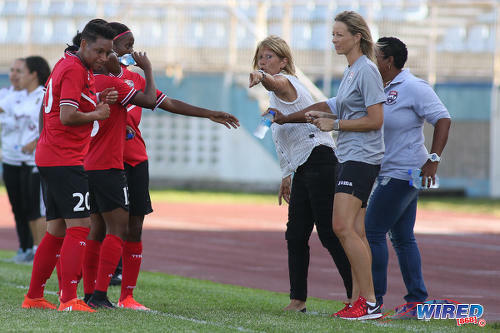 New Trinidad and Tobago Women’s National Senior Team and Under-20 Team head coach Jamaal Shabazz believes he is the right man to steady the ship as the Women Soca Warriors attempt to recover from the abrupt departure of Italian head coach Carolina Morace and her three assistants. 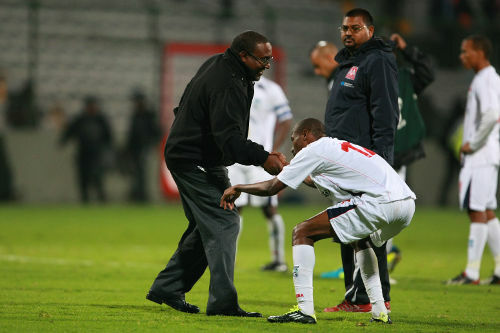 Photo: Morvant Caledonia United head coach Jamaal Shabazz (left) helps defender Kareem Joseph to his feet while assistant coach Rajeesh Latchoo looks on during CONCACAF Champions League action in 2013. 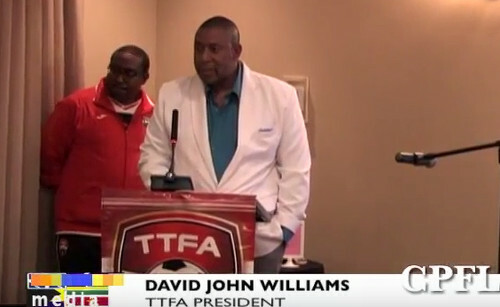 The Trinidad and Tobago Football Association (TTFA), which is headed by president David John-Williams, is already bracing for legal action and the value of the part of the football body’s contract with the foreign coaches which is still unpaid is estimated at TT$4.3 million (US$648,000). 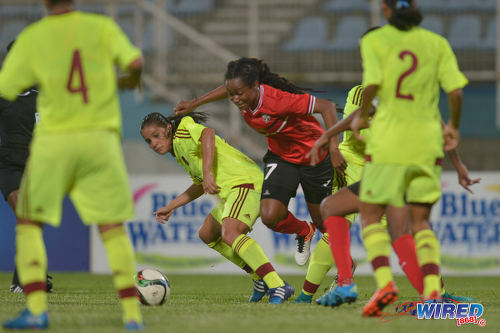 But even as the TTFA braces for a fresh lawsuit—and the local body is already dealing with at least a half-dozen cases—the Women Warriors still have a programme to maintain and three World Cup qualifying campaigns to contest at Senior, Under-20 and Under-17 level. 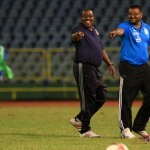 Shabazz, a former Trinidad and Tobago Women’s Senior Team coach as well as head coach for the Trinidad and Tobago and Guyana Men’s National Teams, backs himself to make a success of the current challenge. Shabazz spent his first day on the job by erasing one of the more controversial aspects of Morace’s tenure—the suspension of former captain Maylee Attin-Johnson and star attacker Kennya “Yaya” Cordner and the self-imposed exile of ex-Europe-based winger Ahkeela Mollon. 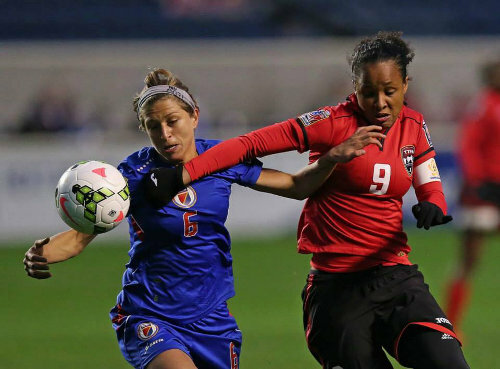 Photo: Trinidad and Tobago captain and midfielder Maylee Attin-Johnson (right) battles for the ball with Haiti attacker Kimberly Boulos during the 2014 CONCACAF Championship. Morace said Attin-Johnson and Cordner were both suspended for violating team rules; Shabazz will overturn that decision. Ironically, Shabazz took credit for the TTFA’s decision to hire Morace in the first place although he admitted that their relationship soured during her time in Trinidad. “I was the person that took her resume to David John-Williams—myself and [team manager] Jinelle James—as co-ordinator of programmes for the TTFA at the time,” said Shabazz. “I felt the women’s programme needed a high-profile female with a high level of competency. [But] at some point in time, I fell out of favour with her. Photo: Trinidad and Tobago Women’s National Senior Team coach Carolina Morace (centre) makes a point to Lauryn Hutchinson (far left) and her teammates during international friendly action against Venezuela on 26 March 2017. The two nations played to a goalless draw at the Ato Boldon Stadium in Couva. Looking on (second from right) is assistant coach Nicola Williams. Shabazz withdrew from the women’s programme in 2011 and said then the team needed fresh ideas. And he repeatedly insisted that he was not interested in a coaching position under the current football administration. 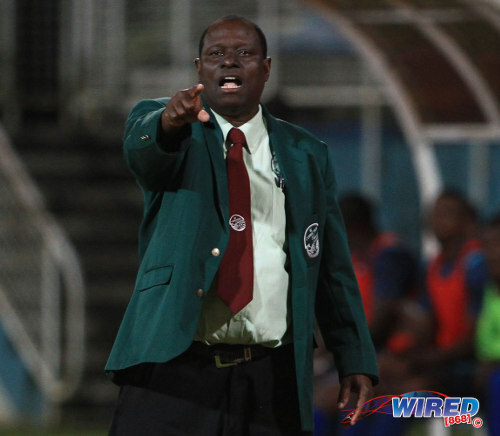 The Morvant Caledonia United head coach said his time on the bench in the Pro League this season stirred his competitive juices while the resources provided for the women’s programme under Morace also caught his attention. “Given the resources that I know were made available to the last technical staff, I am confident we can do this,” said Shabazz. “Because this bunch of girls used to sleep on the ground in the Larry Gomes Stadium when we had double sessions [and] they never got friendly matches and contracts and stipends. Shabazz said he intends to copy the structure of the coaching set-up under Morace and currently used by men’s coach Dennis Lawrence, which, he suggested, makes better use of assistant coaches than has always been the case at local level. 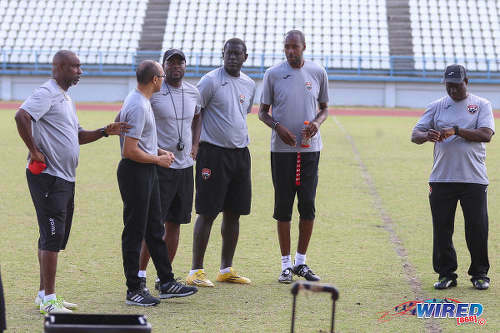 Photo: Trinidad and Tobago National Senior Team head coach Dennis Lawrence (second from right) talks tactics with his coaching staff (from right) Stuart Charles-Fevrier, Ross Russell, Stern John, Richard Piper and Michael Williams. 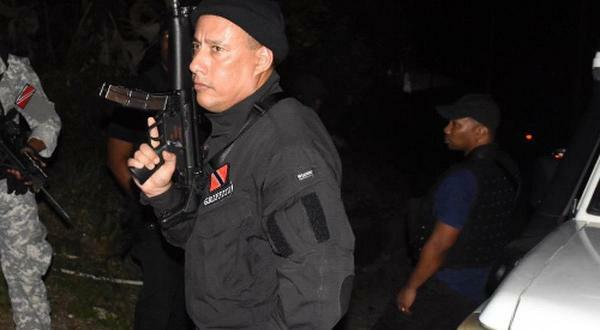 “We are going to demonstrate, based on the example of Dennis Lawrence and his staff, that men and women can work together for the benefit of the programme,” said Shabazz, “because we see the master come here with an entourage and they operate under leadership and loyalty. I have been a slave for many, many centuries and now I have become a free man, I understand how to make it work; I feel even better than the master. Shabazz admitted that he had a personal relationship with the current TTFA president but dismissed any suggestion of favouritism, insisting that his CV spoke for itself. “If a man or woman could look at my track record and think [that my appointment] is a (case of a) job for the boys, then I think that there is nothing I can do or say in my own defence,” said Shabazz. “[…] Yes, I supported John-Williams in the [TTFA] elections and I ask the question: did I commit a sin? Who did Keith Look Loy support in the election? Who did other people support? Photo: Trinidad and Tobago Football Association (TTFA) president David John-Williams (right) address Caribbean Football Union delegates during his CPFL meeting at the Marriott Hotel in Port of Spain on 17 and 18 June 2016. Then Guyana National Senior Team coach Jamaal Shabazz is at his side in full TTFA gear. At present, Shabazz holds an armful of jobs as, apart from being coach of two national women’s teams, he is also the TTFA Youth Football Co-ordinator and Morvant Caledonia United head coach. He suggested he was likely to give up the Youth Football Coordinator post but would continue to run the Morvant Caledonia team. 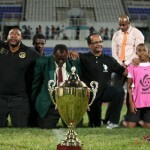 Shabazz tried to explain how the responsibilities of the Elite Development Programme, which is funded to the tune of TT$8 million by NLCB, are shared between technical director Muhammad Isa, National Senior Team assistant coach and W Connection head coach Stuart Charles-Février and himself. It means that instead of the TTFA hiring one person to oversee the programme, they have hired several persons who juggle duties between the Elite Youth Programme and other jobs within the football body or at their respective clubs. Charles-Février and his assistant coaches Leonson Lewis and Clyde Leon are all employees at the W Connection football club, which is owned by John-Williams. Shabazz insisted that the managerial structure of the Elite programme was a practical one. “Stuart Charles was selected by the Board to be the head coach,” said Shabazz. “My role was to supervise the programme and make sure the zones were training and so on. I work alongside Isa, who focuses more on grassroots and coach education and supervising the national teams in training. For the immediate future, Shabazz will juggle his time between two national teams and his Pro League outfit. But he is confident about what he can bring to the Women Warriors and is anxious to resume professional relations with the likes of Tasha St Louis, Karyn Forbes, Dernelle Mascall and Attin-Johnson, whom he credited for their exceptional understanding of the game. Photo: Trinidad and Tobago playmaker Dernelle Mascall (centre) drives towards the Venezuela goal during international friendly action at the Ato Boldon Stadium in Couva on 29 March 2017. “What is needed is someone who can come in and get these girls working again and focusing on football and giving of their best for the country,” said Shabazz, “and I am not just talking about players but staff too. There are three things we need to juggle here: individual needs, needs of the group and the mission and what it requires. Why do we have so much politics in our sports???? Yes Mr Shabbaz these ladies still have much to offer. “Leadership must change as the time changes, unless the leadership changes with the times, and if there is a problem, the leadership must be changed”……Them really good yes. Well perfect example is that look how long now our Magician Russell Laterpy retired from the beautiful game eh, and we have yet to see another Magician the same like him eh, only ah set ah bootleg Coaches in our sweet country eh. Them really good yes. Three recalled ..hmmm so we are saying members of the technical committee of the TTFA knew that these ladies were good enough to represent the country but stood by while they were stopped from so doing and we not having the strongest possible represent ivy national team? Or the coach had her philosophy and they were not with the program. We are a very undisciplined group. Brent do you mean they were removed because of discipline problems which the well qualified international coach could not handle but now the discipline problems have gone because of a new coach ? The coach handled it well, the players couldn’t. Clearly the old coach had some disciplinary concerns with regards to those players. Like Jamal said he has a relationship with these players so he bringing them back. In other words he is in full support of the players behavior regardless of what they did. He didn’t say he would identify the issues and come up with a resolution. Everyone has their agenda, no? Dennis Lawrence said what Isaiah Hudson and Keon Daniel did was with other coaches. So essentially he doesn’t care and giving them a clean slate. Shabazz is saying the same thing. I agree Brent. Past performance must count for something. The difference in both cases, for me, would be that the women–difficult as they may be at times–do have a history of performance. Keon has a history of disappearing when the country needed him most and Hudson hasn’t proven himself as international quality yet, even among his own age group! In the end, all coaches live or die based on the impact of their decisions. And I know even players have become increasingly concerned with the men’s national senior team selection. As much as Dennis may not care for public opinion, maybe the players’ opinion should be taken into account. Maylee and crew play with national team for so long that I don’t feel the call to bring them back is that controversial once nobody is above team rules. Agreed… the coach will live or die with his decisions. That is the life of a coach Brent ,but my point is this is a a National team, a player is removed because the coach says discipline , so we do not have our best possible team. The coach is changed one of the persons who hired the past coach brings back the player ,wiping off the discipline issue . Trevor, you can’t force a coach to pick a player though. Carolina Morace made it clear that she was in charge of such matters–as is her right–and they had to either back her or fire her. That’s the point I am trying to make Lasana we backed her ,not the national best team . Brent Brent Bennett, like before i normally dont comment but just take in this forum because its about football, but i would like to touch on your comments because its folks like yourself help create a bad stigma about players which isnt right. Why comment so strongly about information you knows nothing about. I can speak about myself when i say this, i didnt get throw out from the team because of discipline reasons, never had and never will. Thats not my style. I left, can i say it again I left. It was not a comfortable situation to be in under such a coach so i opened up room for another player. Is 19yrs i playing for Trinidad and Tobago, sleeping in cold airports, funding all my trainings etc etc. 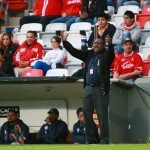 Finally TTFA under this new president did something amazing which was give the players compensation, and I after going into camp in February, the fitness and one of the fastest was awarded one of the high end of the contracts, and i still choose to walk away after not getting anything after 19yrs. Does that ring a bill Brent, money dont move me, you know what moves me passion for the game. Respect is a two way street. The coach is the boss, and players have to adhere to the coaches, very very true. But on the flip side, without players who will coaches coach, so coaches have to try and work along as well with their players. Thats how relationship should be, you give, they give. The last coach was very very knowledgeable about the game, very and i think that was excellent for Trinidad and Tobago women team moving forward but what about the other components that makes you a coach. You cant beat down, break down, and demoralize something you want to see flourish. In 2014 Trinidad and Tobago almost qualify for the world cup, any coach coming in i guess would take that, and try and build positives to help transform the team to this time really go to a world cup. There is more i believe to being a coach, than just tactics. Its about being a motivator, facilitator, understanding, approachable. Because at the end of the day when all said an done, playerz must feel like they can play for their coaches, coaches help light fire in players not take it out of them. But i must say is folks like u, who helps spread talk that players are indiscipline. If you dont know the players or you not behind the scene, seeing what players have to go tru on a day to day, i suggest you help keep it positive about Trinidad and Tobago football than just sit behind your phone or computer and write away about things you know nothing about. You see a heading about doors reopens for players and you run with it, because now its an opportunity to create the baccanal we trinis so love. Its the players, itz the players not the coach. Come on Brent , i dont know u personally but let me share this with you. Open your mind to this, its like you at home with your wife, you being the best husband that you can be to her, theeeee bestttt. But when you not home she going on their telling folks you mistreating her, you not doing this you not doing that, and when you do hear the shout its because she cheating on you, and she creates all this lies to facilitate her lies. Mr Brent, if people dont know you, they will believe everything she says, but what if they know you, then they wiuld know you a sweet loving gyy who provides well for his family. Sooooo Mr Bennett, please no one can stop you from your comments you entailed to your say, but if you dont know the players and the situation, worst yet you dont even know the coach and her style, all you know is her resume maybe, then i suggest your comments shouldn’t be that strong because folks are reading and folks will like comments anf when someone like, they think they can now write a comment just like yours, and thats how its starts and then they talk is Trinidad and Tobago players indiscipline. Not all is sir, not all is, and folks dont know reasons why players might do the things they do. And about Jamaal knowing the players, its very true in this instance, yes the door is reopened i havent decided as yet, but if I was around that table when the decision was made to bring in a coach, i might have done the same thing. Because the amount of damage the last coach created amongst everyone, you need someone who knows the set up to come in and do damage control. And jamaal is the fit for the team right now. Mr Benneett as you may know, it have folks sitting in jobs that they have no place being in, but because their resume reflects that, it makes them the right fit. This is the real world, football is a dynamic game, it calls for firm leader but at the same time it calls for little flexibility. I hope you take this with an open mind, because it breaks my heart to know that folks will comment so truly about situations they know nothing about. Becaude i can bet you my last dollar everyone was excited for the expertise that was in front of us, i am sure Canada women team was to, but sometimez not everything is what it seems. Dont drag tru players name in the mud, because in the end all someone has is their name, and my name Ahkeela Mollon, should not be label to indiscipline player because i never was and never will be. 19yrs , you know what i could have done in the last 19yrs, alot more than running hills, sprints, gym, 90mins plus games, but i did it for the love of the game and representing my country. So please you entail to jugde but do it from a point where you know the individuals, becaude i can bet you, you dont know the players personally. Not everything you read is the full story. The playerssss left, did it hurt yes because i know i still goy what it takes to help my country, but could i have done more to stay, noooo. Reason being, you gotta know yourself and what motivatez you, and what kept me in the game as long as i continue to be is enjoyment. And i wasnt in an enjoyable enviroment being there at the moment, so i walked away. Football is hard work for me be also enjoyment. If i am not enjoying what i do, i will walk away, and if that makes playerx in discipline and open up room for persons like yourself to judge, then its ok. Sorry for the longggg story but i watching this comment and i saying to myself, do some of them even know what players go tru to even stand and hear their anthem play to bring glory to everyone. Instead they are place on a electrical chair to be executed. There is more to being a TnT player. Respect is a 2 way street never forget that. Well said Ahkeela. Maylee and Yaya stood took a principled stance that did not tolerate disrespect and abuse from the coach. Like you, they should be also commended. I am now getting to know more each day about you Ahkella and you have introduced me to Yaya, I must say truly remarkable young women,let your voices be heard ladies ?????????? Good to release all of that Ahkeela Mollon. You all deserve to be heard AND respected. That was so long I’m not sure if I read it all lol… You have every right to play or not to play. The TTFA knew this coach was abrasive and bad problems with other teams but still hired her. I’m not blaming you or anyone else for that matter but at the end of the day the TTFA didn’t want to fire her but instead she resigned. I agree I am not in that dressing room but to date no one has officially said why the coach disciplined the players (at least to my knowledge). Would you want to share that with us Ahkeela Mollon? What is in the public eye doesn’t bode well for the players and their perceived lack of discipline. Ahkeela, I think Brent isn’t fully to blame here because the situation with the three players is different but you all kinda get lumped together as returning players. Ahkeela left first and wasn’t dropped for disciplinary reasons. So fair point, Ahkeela, although I don’t know if Brent singled you out. I don’t think he did. Maylee was cut for “disciplinary reasons”. Kennya left and then they rescinded their invitation to her and also cited disciplinary reasons. So, Ahkeela, although the door was reopened to you, you were not dropped for disciplinary reasons. So I can understand your frustration when you feel like people are suggesting otherwise. Wow, Dennis Allen. Aptly described. 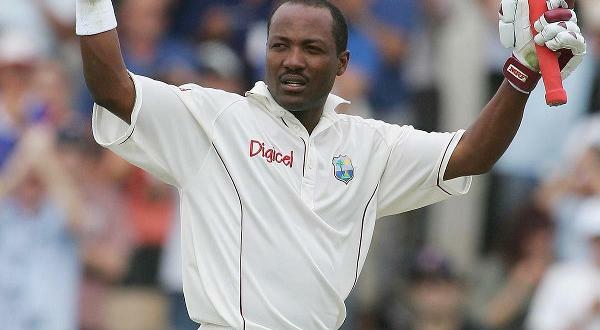 Lasana Liburd, can you provide us with the record of JS in his stints of leading various teams? “Stuart Charles was selected by the Board to be the head coach,” said Shabazz. What board is being referred to? Who were the other candidates considered or interviewed? Isn’t the technical committee supposed to play a role there?? More questions than answers.. The technical committee is non-functional at present. Any idea who else was considered or interviewed? Were positions posted? Not that I know of at all. Morace left on Friday. Somewhere in between there they got legal advice and then Shabazz’s name was put to the board. I haven’t heard about any other name and certainly didn’t hear about the post being advertised. Smh.. process is flawed and we make no attempts to fix said process and get same result over and over..
How do we fix it Brian? We have this “fat cow” running the organisation like he is Putin and we don’t know how to challenge the f*** …. or do we? Well, one difference is that the Pro League team isn’t a women’s team. So I feel like it is more a case of whether he should be allowed to split his time or focus fully on one job or the other. 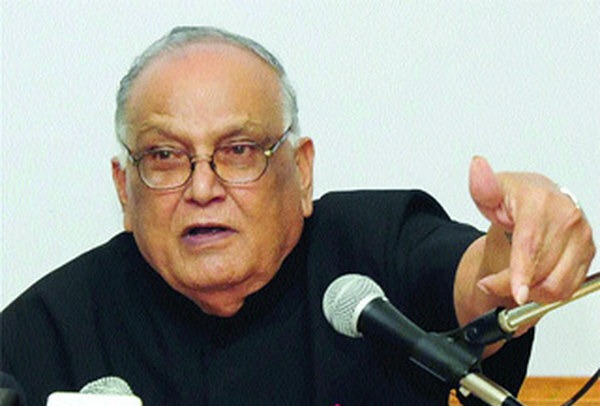 Savitri Maharaj thanks eh, but not me nah I came from a real professional country, so I won’t be ever bouncing my head like many others and wukking for no corrupted TTFA eh, next thing I mehself will have to be taking them to court in order to get meh monies eh, not a real country eh steeuuppss. Them really good yes. Allyuh crazy yes …the TTFA is renowned for NOT PAYING COACHES ….and yet allyuh talking about leaving your day job to coach a national women’s team …. Steups hellfire to that ….I’m not sold on Shabazz because he works with the enemy DJW but of course he has to keep coaching Caledonia…. Well then if is money he worried about then keep your day job and turn down the national job. Caledonia,women’s senior team, under 20 women’s team and in charge of the women’s under 17 team for a short while . so that’s four team for one coach don’t you think that’s to much. It is but …. theoretically, he is supposed to be a director of those teams …the actual coaches have quit soo this is a stop gap measure. The problem is they’re not using the right process to select coaches. So the coaches are either unqualified for the job, recycled or unpaid which results in a coach quitting in two or three months. 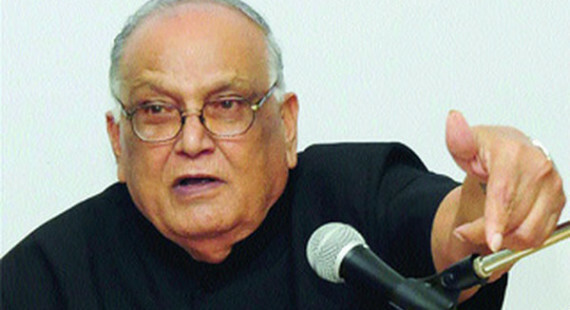 We’re pointing fingers at the wrong man …the problem is that huge ….disgusting Water Buffalo called David John Williams…. Well if they had listened to me about 30 yrs ago when I spoke about the importance of both the Coaches Association and the Players Association, we wouldn’t have any problem with top of the line coaches today and of course my players wouldn’t be going thru the madness today with some of these slave master owners but the three house negroes jumped ship and soul their souls to the corrupted TTFA in order to reap all the benefits today. Them really good yes steeuuppss. With honest appreciation of the folly of putting all of one’s eggs in the TTFA basket… the mere fact that the nation’s top Women’s National Football job is being treated as a part-time gig says a lot. No particular offense to him, Randy Waldrum did the same, perhaps under similar/dissimilar realities. Provide stability while doing how many other jobs? The whole bit about the master and the slave… the former slave is going to do things the way the master was doing them? So why even talk in master and slave terms? The women’s team needed a high profile female coach with a high level of competency six months ago but not again? Not since he see the level of support the women’s team was getting? Only needed a woman when it was jamming to take? Lol. Actually I think Morace and her team were being paid more than Saintfiet and Dennis Lawrence. So there’s women’s power for you. Morace was the only one of the three who could point to a record of success prior to their appointment. It’s bizarre language to use Sav, if you’re going to copy what the “master” did. Ehhh… he will have to address those himself Chabeth. Lol. Well, it might be Carolina that froze Jamaal out rather than the other way around.